Terry Reintke has been a Member of the European Parliament since 2014. She belongs to the Greens/EFA Group and is the youngest female MEP. Fundamental rights and values are under attack. Democratic principles, which we often take for granted, are up for discussion. The rule of law, freedom of media, women’s rights or even the societal agreement of “Never again” are being contested. And this is happening all over the European Union – not only in a few member states. The sad track record of 2017 shows how retrogressive actors are pushing their agenda: The PIS government in Poland adopted a reform that will allow the government to control the judiciary. In Ireland, access to abortion is so limited that the UN designates Ireland’s dealings with women as “cruel, inhumane, and degrading”. Orban’s government in Hungary issued a law that makes it illegal for NGOs to help refugees. In Germany, with the entry of the AfD in parliament, Holocaust deniers are now sitting in the Bundestag. Being part of the Bundestag means that the AfD has the right to send representatives to the advisory boards of foundations, such as the foundation “Memorial to the Murdered Jews of Europe”. These are just a few examples demonstrating the societal backlash we are facing. Right-wing parties, neo-conservatives and populists are working to turn back accomplishments, undermining our fundamental rights, which are integral to our free and democratic societies in Europe. We – the young generation – grew up in a European Union where paying with euros and travelling freely without border controls has been our reality. We are EU citizens. We live in London, Warsaw, Madrid or Sofia and move from one country to the other to study or work. We are the Erasmus generation and we have friends from all over the continent and beyond. We are European. Now, it is up to us to stand up against this backlash. It is up to us to fight for our rights, for a European Union based on fundamental rights and democratic values. The backbone of our protest is civil society and youth organisations: All over Europe, young people are organising, taking their protest to the streets. Be it the movement of “Repeal the 8th” in Ireland, the women’s strike in Poland or the anti-corruption protests in Slovakia, young people are a driving force. At the same time, civil society and youth organisations are experiencing sharp headwinds. It is often the NGOs and civil society actors, who are affected by regressive policies and regulations first. This is why the European Youth Event is such an important initiative to build a forum empowering young people. 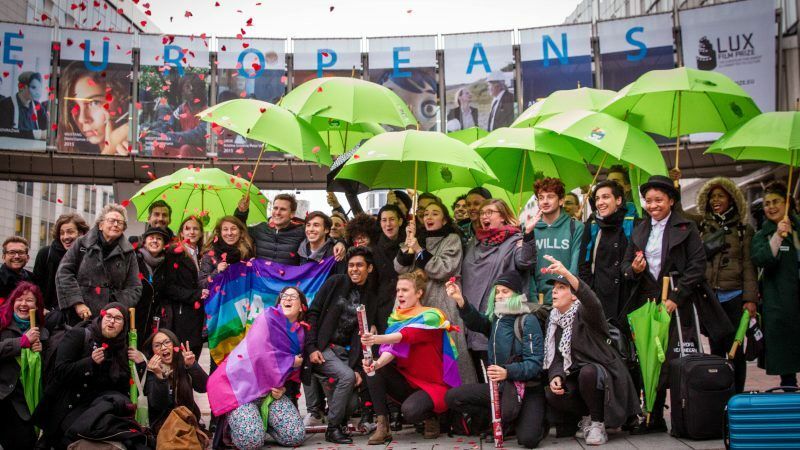 The European Youth Event, which will take place in Strasbourg on 1-2 June, provides a platform, where we can develop ideas for the future of Europe. It is an opportunity for dialogue between young people and European decisionmakers and I am happy to be one of the MEPs to be part of the #EYE2018. Besides providing a common space for civil society actors to connect and organise, it is central that we ensure the necessary structural and financial support for civil society actors. With the preparations of the next post-2020 multiannual financial framework of the EU in full swing, now is the time to set the scene for the decade to come. We need substantial funding for the Youth Guarantee, we need Erasmus+ to be strengthened and we need means for civil society. In order to work in the aggravated conditions, funding is often key. This is why I am calling for the establishment of a Fund for Fundamental Rights. The goal of this fund would be to actively support civil society organisations committed to European core values: The rule of law, human rights and democratic standards. Organisations in all member states could benefit from the support, regardless of their governments. Funding could be made available to build new initiatives, ensure medium to long-term financing of existing organisations and support small grassroots projects. This can be an essential building block for a European Union that goes beyond the single market: A European Union built on shared values.